An exceptional opportunity to combine the complementary subjects of law and psychology, this course offers a solid foundation of legal knowledge and an enhanced understanding of the human mind. This LLB is one of only a handful of programmes in the UK to combine a qualifying law degree with the study of psychology. It offers the robust, research-led legal education that you would expect from a Russell Group law school, while allowing you to explore fascinating aspects of human thought, emotion and behaviour. Your knowledge of these complementary subjects will be invaluable for roles in the legal profession and criminal justice system and will also be relevant to a wide range of other career paths. You will be taught by experts in both disciplines, including law academics who bring the latest legal developments to the curriculum; many are authors of key text books in their specialist areas. On this combined degree in law and psychology you will develop essential legal, analytical and transferable skills, preparing you for a broad range of legal and non-legal careers. This is a full-time degree course taught over three years. When you arrive, you will take part in a comprehensive induction exercise designed to help you get to know your fellow students and develop your teamwork skills in preparation for starting your first-year law studies. During years one and two, you will study compulsory modules that cover the topics required (such as criminal law, contract and land law) by the Solicitors Regulation Authority and the Bar Standards Board in order to achieve a qualifying law degree. Legal Skills, which will develop the key analytical skills that are essential to success in your studies and your future career. Introduction to Psychology, in which you will learn about the main areas of psychology and current issues and research questions in the field. You will be able to choose the remaining modules in years one and two from options in law and psychology. In year one you will select one of two law options – Historical Development of the Common Law or Philosophical Perspectives on the Common Law. These have been specially designed to help you put the law into a broader context of time and theory. You will also take one psychology module – either Behavioural Neuroscience or Individual Differences: Personality and Intelligence. In the second year, you will choose two law modules from a wide range, and two psychology modules – either Social Psychology or Language and Memory in semester one, and either Developmental Psychology or Perception in semester two. The third year comprises three compulsory law modules, including the Legal Research and Writing module which further develops your independent research skills and culminates in a 10,000-word dissertation. You choose the research topic and complete your dissertation with support from your academic supervisor. You will also take two psychology modules from an extensive range that includes topics such as current issues in clinical psychology, making sense of ambiguous scenes, educational and developmental psychology, and self-conscious emotions. You will be helped to improve your critical analysis and problem-solving skills. Your presentation skills will be developed through participation in tutorials and mooting competitions (a specialised form of legal debate, essentially a mock case). In the first year you will take part in a moot judged by external legal practitioners, which is intended to help you improve your skills in constructing and presenting an argument. Library and other exercises are designed to help you develop appropriate research and writing skills. On the LLB Law with Psychology, you will learn from leading academics engaged in exciting research on issues of daily significance, ranging from the transfer of land and assets, the protection of prisoners’ rights, the standards of corporate governance in our businesses, and the impact of technology in diverse areas such as driverless cars and cybersecurity, to the law and ethics of medical treatments, the protection of intellectual property, the management of the oceans and the international trade across them, and the upholding of human rights. Many of the teaching staff are active members of the Law School’s research centres and closely engaged in law reform, nationally and internationally. Similarly, psychology lecturers are engaged in world-class studies within three main themes: clinical neuroscience, cognition and human wellbeing. Our strong links with the legal profession enhance your career options. Solicitors and barristers – many of them former students – regularly visit to give guest lectures and career talks, giving you helpful insights into the profession and how to build a career. Our links with the profession mean that we can offer a range of prizes and placements for high-performing LLB students, sponsored by leading law firms, which could enhance your CV and boost your employment prospects. applying for a place on one of our prestigious marshalling schemes, shadowing a senior member of the judiciary in the High Court or Court of Appeal. working with legal professionals to provide advice through the Housing Clinic or Small Business Clinic. researching a legal topic to present to sixth-form college students as part of the Streetlaw programme. In addition, our student-run societies hold employability skills workshops, mooting competitions, guest lectures and networking events. Societies include the University of Southampton Law Society, Inns of Court Society, Mooting Society, Lawyers without Borders and the Canadian Law Society. 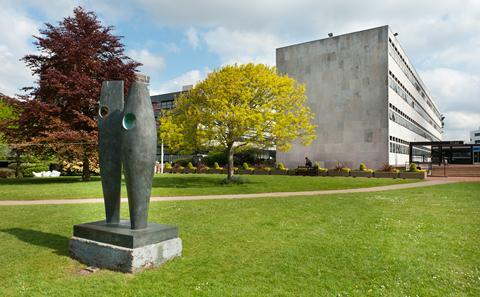 Southampton Law School is one of the few places in the UK where you can study psychology alongside a qualifying law degree. A firm foundation for a career in the legal profession, criminal justice organisations and a wide range of other sectors. Learn from inspiring, expert academics, many of whom have written key text books in their specialist areas. Join a close-knit, friendly learning community in which you will be challenged and supported to achieve your ambitions. Benefit from a bespoke careers programme, including recruitment fairs that attract the ‘magic circle’ of law firms and leading sets of barristers – key career destinations for our law students. Students can attend our annual careers fair. 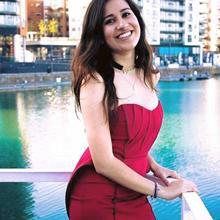 Southampton has helped me become the person I always wanted to be: confident and approachable. I grew to find the balance between being an independent person, as well as being a team member. My academic skills, such as research and critical thinking, have improved immensely. GCSE Southampton Law School requires all applicants to achieve at least a Grade 4 (taken in England) or a Grade C (where taken in Northern Ireland or Wales) in English and Mathematics. If you are taking an alternative Mathematics qualification please contact our admissions team via ugapply.FBL@southampton.ac.uk. AAA or for students taking the Extended Project Qualification in the same year as their A2 exams, AAB at A level plus A in the EPQ. Applicants should offer at least two traditional, academic subjects. Art, Art & Design, Dance, General Studies, Moving Images, Photography, Physical Education, Practical Art, Practical Music, Sharia Law, Sports Studies, Textiles, and Travel & Tourism are not accepted subjects. Critical Thinking, Community & Culture, Design & Technology, Drama, Divinity, Film Studies, Health & Social Care, Media Studies, Performing Arts, Theatre Studies, and World Development are restricted subjects. This means we can only accept these subjects as one of your three total A levels. International Baccalaureate 36 points overall (18 at higher level). An equivalent standard in other qualifications approved by the University is considered, so please contact us if you require advice on equivalency. LNAT (Law National Admissions Test) is not required. We welcome students with other qualifications eg European or Welsh Baccalaureate, Scottish Advanced Highers and Irish Leaving Certificates. We also welcome applications from overseas students offering foundation programmes with a substantial amount of academic study. Less than half the programme should be English language tuition and you will be expected to reach a high standard in your programme comparable to our A level requirements. For more details on the suitability of your qualifications or foundation programme please contact the Admissions Team at UGapply.FBL@southampton.ac.uk. The link below takes you to a complete list of the other English language qualifications accepted. Test results should be less than two years old at the time of expected registration at the University of Southampton and must be verified before admission. If you do not meet the University’s English Language entry requirements for direct entry onto our programmes, you may be eligible to study on one of the University’s pre-sessional English language courses. For further information on these pre-sessional programmes, please visit the Centre for Language Studies website. We welcome applications from returners to learning who are over 23 years of age at the start of your proposed degree programme. You will be required to provide evidence of having completed recent serious and successful study (e.g. Access, Return to Education, Open University Foundation Courses). You will be required to undertake a test and interview to determine your academic suitability to pursue the programme. If you have professional experience, or credit through prior learning at another institution, you may be eligible to use this experience against some of the programme requirements for period of study. You will need to present evidence that you have met the learning outcomes of the programme. Full details can be found in the University’s Policy on the Recognition of Prior Learning. A typical contextual offer is AAB from three A levels or an equivalent standard in other qualifications approved by the University (the excluded subjects above will still apply). The Law School will offer a selection of the optional modules listed below. The following modules are compulsory, core or optional for this course. Other Some modules may include optional visits. You will normally be expected to cover the cost of travel and admission, unless otherwise specified in the module profile. an annual law careers fair attended by around 50 law firms, including the ‘magic circle’ of five top law firms. a one-week Employability Skills Programme to help you develop key transferable skills, which includes practitioner-led events. presentations and workshops led by prestigious law firms including a writing skills clinic led by a former partner of a magic circle firm. visits to law firms, local courts, social security and employment tribunals. talks about postgraduate opportunities for those considering further studies. You will graduate with a qualifying law degree and insights into the way people think, feel and behave – an ideal combination if you are looking to become a solicitor or barrister, or work for the police, a criminal justice organisation or a government body. However, your transferable skills will also enable you to pursue career ambitions in a range of other sectors, including business and industry. This degree is also excellent preparation for further studies at postgraduate level. You will learn through a combination of lectures, small-group seminars and tutorials, and through independent study. Our inspiring academics use a range of teaching methods to enhance your learning experience, for example, highly interactive lectures that incorporate digital voting tools and social media. Group exercises, problem-solving tasks and case studies are also used; these exercises help to embed your knowledge and to apply it to real-world scenarios and current topics. Modules are assessed through exams and/or written assignments. Your dissertation also contributes to your final degree classification. You will receive feedback on your progress from your tutors and formative assessments will help you identify areas for improvement. superb library resources including comprehensive collections in all the main subject areas such as contract law, property law, maritime law, criminal justice and public law as well as European and international resources, all housed in the main University library. extensive electronic resources such as Westlaw, Lexis and Lawtel, which ensure that you can access the teaching resources wherever you are. You will thrive within the Law School’s close-knit, collaborative and supportive learning community. We are a relatively small law school which means that we can offer a high level of support to ensure you achieve your personal and academic ambitions. Every student is allocated a personal academic tutor who can advise on course-related matters or direct you to one of the University’s many support services. We work in close partnership with our colleagues in Psychology, who will provide any support you may need with your psychology modules. We also operate the Peer Assisted Study Support (PASS) scheme whereby second-year students act as mentors for new students, helping them to settle in and providing informal support on the social and academic aspects of university life.